Our 2019 Show will follow the same format as previous years. 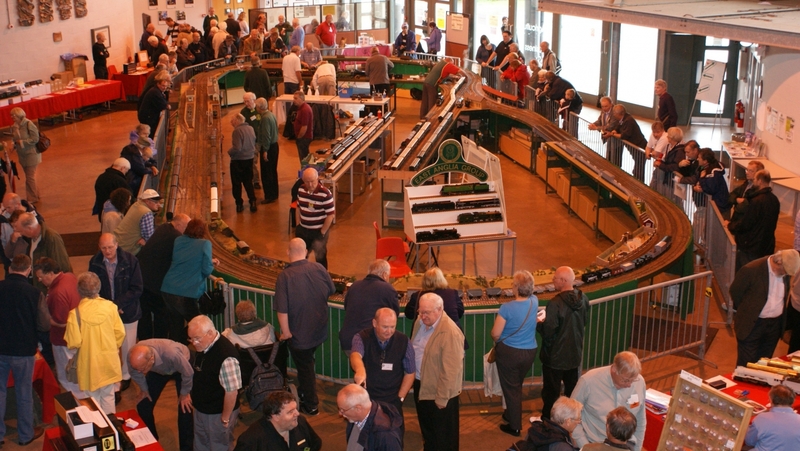 The main attraction will be the Gauge 1 Yorkshire Group's layout "Ridings", which we hope will have some new scenic section on display. Plans are we established to create a wharf and lock, with a working tippler! There will be a range of demonstrations taking place throughout the day, including live steam operation on a rolling road, resin castings, wagon building, painting and lining and several more. We expect that some 30 trade stands will be in the hall, with a wide range of modelling goods and books on show and for sale. A large number of our regular supporters have already committed to attend. See Traders attending for a full list. Our exhibition of "I Built it Myself" models will also be on view, with the White Horse Trophy kindly sponsored by Peter Spoerer Model Engineers, for the item receiving most votes from the public attending. If you wish to show an exhibit, run a demonstration, or book a trade table, please contact Object for details.